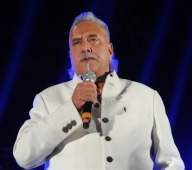 A Bench of Justice Adarsh Kumar Goel and Justice Uday Umesh Lalit adjourned the matter to July 14 asVijay Mallya did not appear before the court in response to its notice. NEW DELHI: The Supreme Court on Monday deferred a hearing on a contempt plea against beleaguered liquor barron Vijay Mallya as he did not appear before the court in response to its notice. The court will now hear the plea on Friday. A consortium of banks led by the State Bank of India had filed the plea. The apex court had on May 9 held Mallya guilty of contempt for suppressing information and misleading the court. It had sought his response on the quantum of punishment. Mallya was expected to be present in the court in person. A bench of Justice Adarsh Kumar Goel and Justice Uday Umesh Lalit adjourned the matter to July 14, as counsel appearing for Mallya told the bench that they have no instructions.